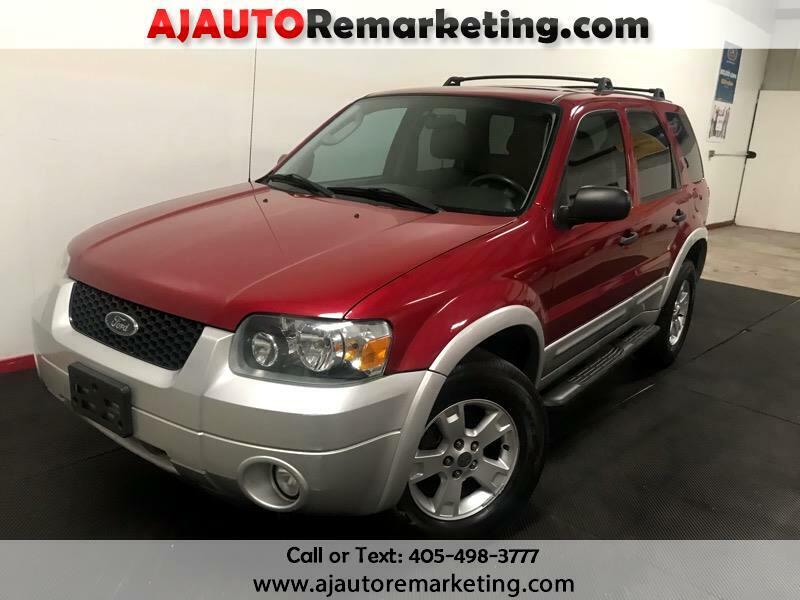 Meet our amazing 2007 Ford Escape it is a Leather Sunroof vehilce! Powered by a responsive 3.0 Liter V6 that is tethered to a 4 Speed Automatic transmission to reward you amazing road manners. This FWD Wheel Drive helps you with nearly 23mpg and looks great with alloy wheels, fog lamps, roof rails, heated side mirrors, and privacy glass. Inside, our vehicle pampers you with a leather heated front seats, a huge sunroof, amazing audio with CD, and a leather-wrapped steering wheel with mounted cruise control. With our Limited, there is no need to rough it anymore while your driving. The family will enjoy road trips and even short commute trips around town again! Just check out our pictures, this extra trim adds more comfort and convenience features than you'll know what to do with!! For added peace of mind, our Ford Escape has all the standard safety features on board. This Escape is ideally suited for about any driver or situation. The proof is right here on our lot! Print this page and call us Now... We Know You Will Enjoy Your Test Drive Towards Ownership!